A little over thirty years ago, Nintendo single-handedly rescued the console gaming market from the brink with its action title Super Mario Bros. which became an instant hit. Creator Shigeru Miyamoto, along with Takashi Tezuka, wanted to take the idea of a game “world” even further, giving players a “miniature garden that they can put inside their drawer.” That game would tell the story of boy coming of age to be a hero. 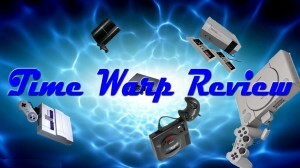 Time Warp Review takes you on a journey through the chronicles of time to a link to the past. This is the 30th Anniversary of The Legend of Zelda. For three decades, gamers have enjoyed the adventures of Link as he constantly fights the forces of evil to defend the land of Hyrule from the evil wizard Ganon. Using a variety of weapons, Link has taken on sword wielding skeletons, rock spitting octopi, giant spiders and water-spewing mermen. He is destined to protect (and consistently rescue) Princess Zelda, the Ruler of Hyrule and a reincarnation of the goddess Hylia, according to her story in Skyward Sword. Zelda, like many of Nintendo’s princesses, is repeatedly kidnapped by Ganon who seeks to rule the land using the Triforce of Power. Link sets out to rescue Zelda and defeat Ganon. This is the running script of nearly every Zelda game that has been released. The Legend of Zelda, the first game of the series, was first released in Japan on February 21, 1986, on the Famicom Disk System. A cartridge version, using battery-backed memory, was released in the United States on August 22, 1987, and Europe on November 27, 1987. The game featured an overhead view which was inspired by Shigeru Miyamoto’s “explorations” as a young boy in the hillsides surrounding his childhood home in Sonobe, Japan where he ventured into forests with secluded lakes, caves, and rural villages. He came up with the name for the game’s princess after hearing of American novelist F. Scott Fitzgerald’s wife Zelda, thinking that the name sounded “pleasant and significant”. Paying tribute, he titled his creation The Legend of Zelda. Like many role playing games, Link used a variety of weapon in his quests such as bombs to blast away rocks and reveal hidden rooms, arrows to attack enemies from afar and fairies to heal his injuries. 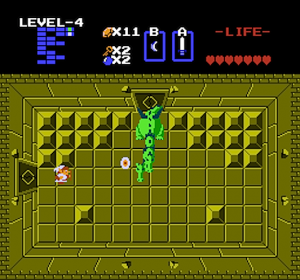 Each dungeon in The Legend of Zelda is a unique, maze-like collection of rooms connected by doors and secret passages, and guarded by monsters different from those found on the surface. Dungeons also contain useful items which Link can add to his arsenal, such as a boomerang for retrieving distant items and stunning enemies, and a recorder with magical properties. These items remained persistent through the much of the game series. The second game, Zelda II: The Adventure of Link, was released for the Famicom Disk System in Japan in January 14, 1987, and for the Nintendo Entertainment System in Europe in November 1988 and North America in December 1988. The game exchanged the top-down perspective for side-scrolling, as side-scrolling was the staple for many games back then and seemed to work for Miyamoto’s breakthrough title Super Mario Bros. Although the top-down point of view was retained for overworld areas. The sequel also introduced RPG elements (such as experience points) not used previously or thereafter in the series and emphasized these elements which was a significant departure from its predecessor. 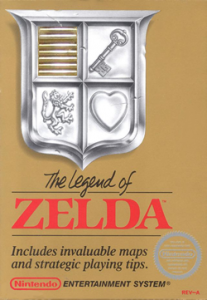 The game was highly successful at the time and introduced elements such as Link’s magic meter and the Dark Link character that would become commonplace in future titles, however, the role-playing elements and multiple lives were never used again. 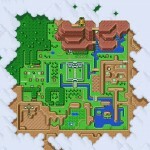 A Link to the Past returned the series to the top-down POV. It was released November 21, 1991 for the Super Nintendo. The game was made larger with the existence of parallel world which the player can travel between. The Magic meter from the Adventure of Link remains intact as well as new elements such as arrows are now separate items just like bombs, eliminating the need to use Rubees to fire them. Control of Link is more flexible than in previous games, as he can walk diagonally and can run with the aid of the Pegasus Boots (Pegasus Shoes in the GBA version). Link’s sword attack was improved to swing sideways instead of merely stabbing forward; this gives his sword a broader range and makes combat easier. A Link to the Past also introduced us to the Master Sword which becomes synopsis with future Zelda titles. The game was a landmark title for Nintendo and is widely considered today to be one of the greatest video games of all time with over four million units of the game having been sold worldwide. Around twenty games in the series have been released across all of Nintendo’s platforms including Gameboy, N64, Gamecube and Wii with The Legend of Zelda: Twilight Princess HD, a high definition version of the original Gamecube and Wii title, being the latest title. The next game in series, simply titled The Legend of Zelda, is slated for release in 2017 for the Wii U and Nintendo’s next gen console the NX, making it the first game in the series to be developed in high definition. The game is said to be similar to the original title with less emphasis on defined entrances and exits to dungeons. Zelda II: The Adventure of Link was released for the Famicom in 1987 in Japan and the NES 1998 in the US. The Adventure of Link borrowed many elements from RPGs. Link can encounter enemies and battle them. Link prepares to enter one of many castles in the second Zelda title. 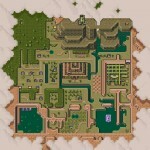 Link’s Awakening retained the overhead view set by the first game. The Master Sword was first introduced in Legend of Zelda: A Link to the Past. The blade becomes the staple weapon for future Zelda titles. The dungeons had many doors. Which one was the right path? 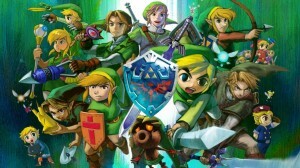 A Link to the Past would go to become one of the best selling titles in the series. Continue your journey with Part 2 of Legend of Zelda 30th Anniversary! !